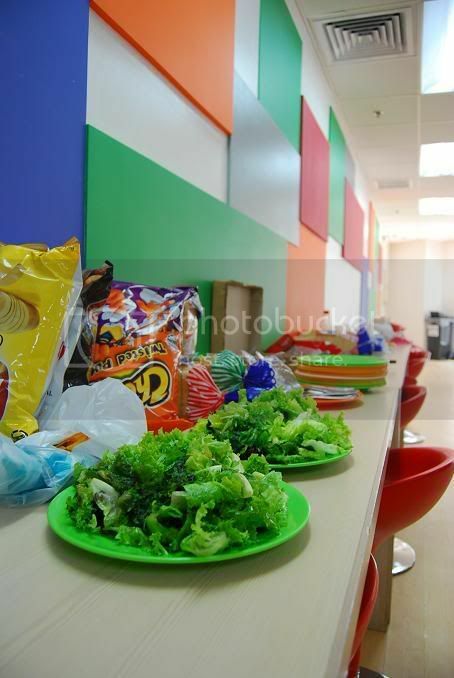 Sometime around in August we had an indoor picnic at work. Our break area or pantry for some is splashed with colors we really love. The squares are painted with colors that suggest appetite. Indeed, we ate like there's no tomorrow. Do you have any pantry or break area photos to share? Please send them in and tell a little something about it. Send them at houseofonika@gmail.com. Who knows we may have something in store for the best pantry/break area photo?